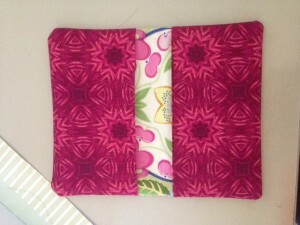 I love to find quick sewing projects that allow me to add embroidery. 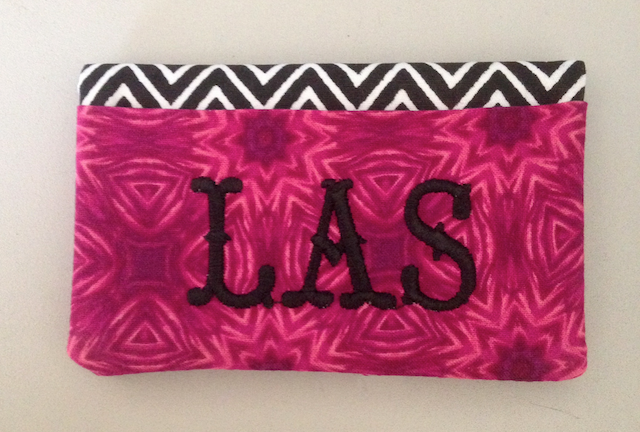 Business card holders are perfect to make for gifts for a variety of reasons. They use up scrap fabrics! 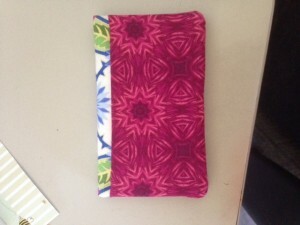 Easy companion accessory – if you made the purse and have extra fabric, boom quick coordinating accessory. I like to find instructions for my quick projects that are clear and easy to follow. Once I made the test version, I was able to plan for my embroidery placement. 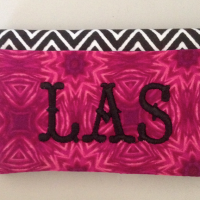 I added the monogram on the front flap which was blank. On the back side is a single pocket and on the inside are two more pockets. This is the style that I liked, but there are many more options available. One of the blogs that I frequent for simple projects like this is Tip Junkie. Not only do they have a nice selection of projects, but I have found that the projects they feature are well written with nice photos. Yes, you will find non-sewing projects at times, but hey, I know I’m not the only one that dabbles in other crafty activities! I’m sure you can come up with many other ideas and uses for these quick little gifts.